Well it is 6 pm and we have rolled into the store after a full day at the beach that started at 5am today. Our day started off with three flounder at low tide follwed by a couple short (20″ and under) stripers including one that had a belly tag. 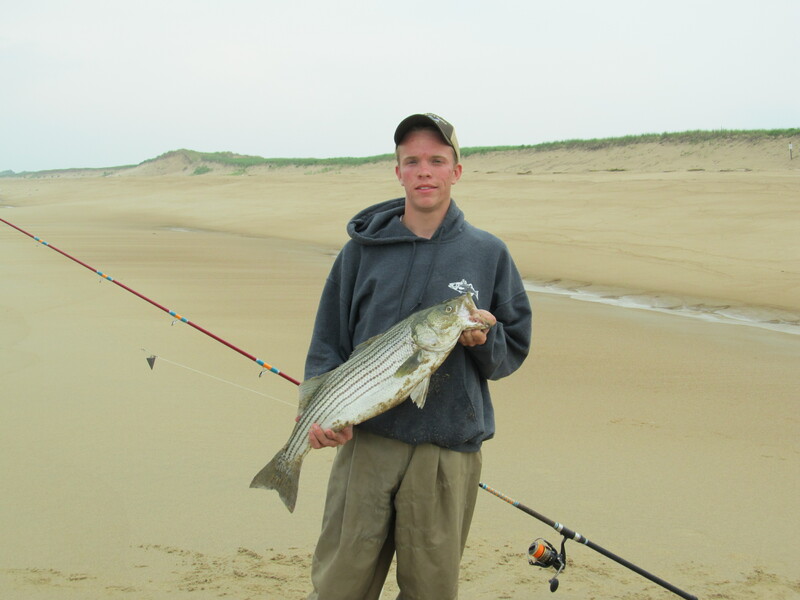 Later on, at the top of the tide a few more stripers where caught, two of which were keepers. 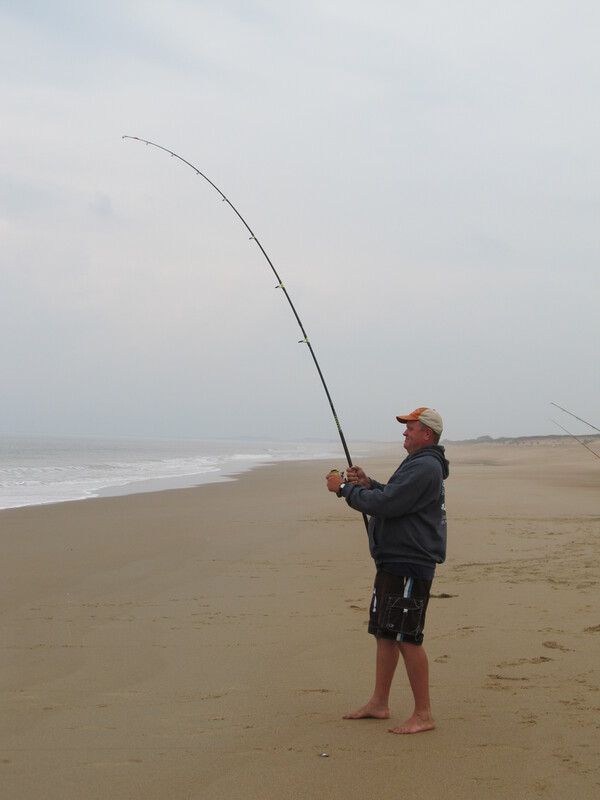 One of the keeper fish took the rod down and sent it racing towards the water. 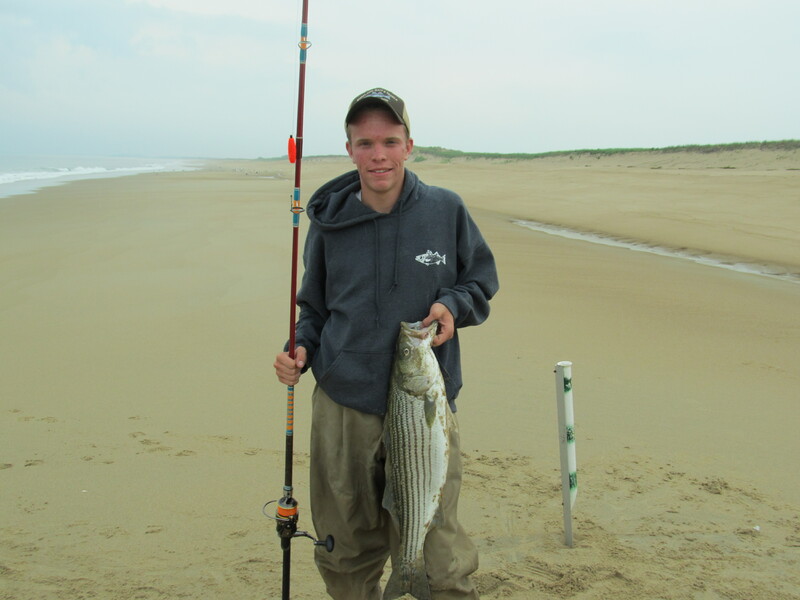 Again at low tide this afternoon two more keepers were caught, the biggest measuring 31 inches and weighing in at 12lbs. 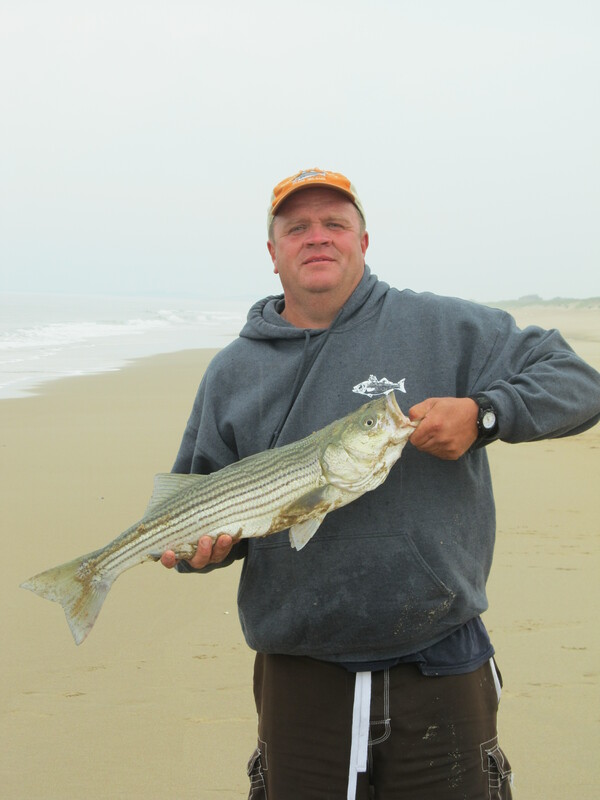 All the stripers seem to be very aggressive and put up a good fight. Throughout the day the we witnessed cormorants eating small baby flounder which may be the cause of our bait dissapearing without a trace. The day produced enough fish to keep it interesting and keep us fishing. Going home with one striper and three flounder. A good meal. The rest we put back to grow some more.